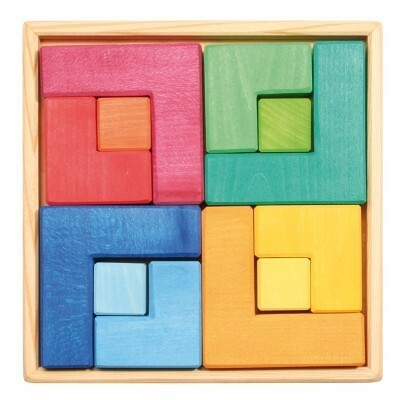 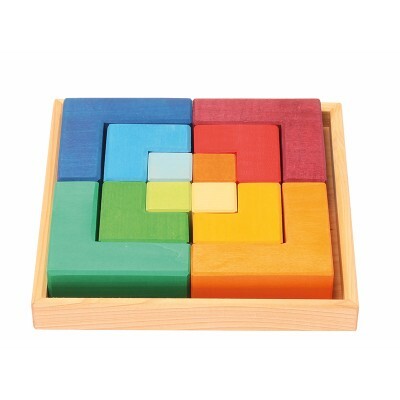 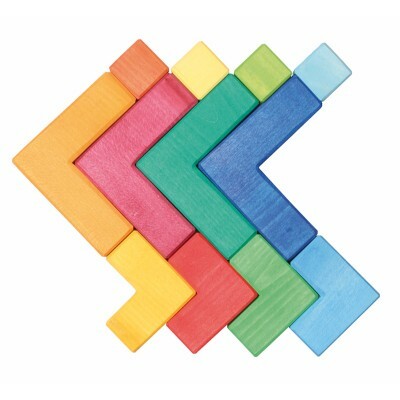 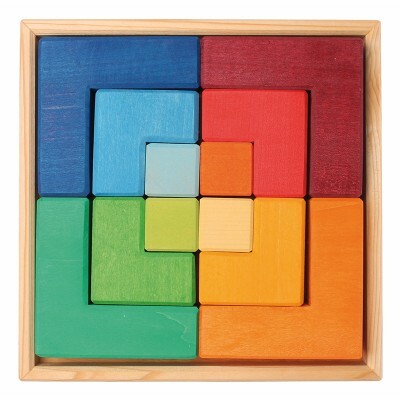 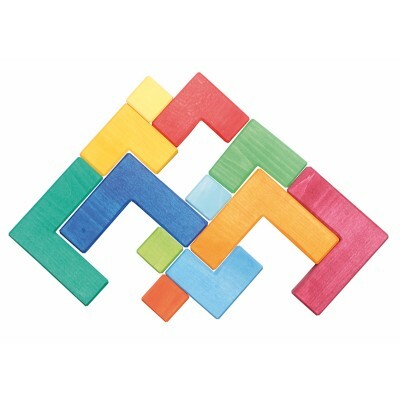 Classic puzzle in cubic form. 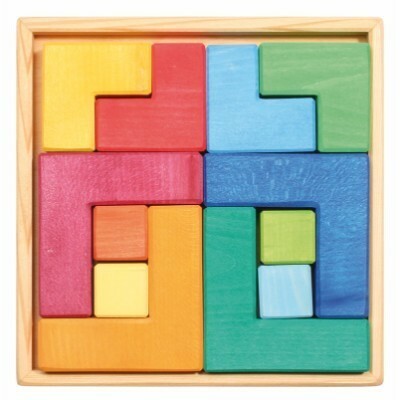 Booklet with templates for Playing 43211: beginners can follow two dimensional templates, more advanced players will enjoy the challenges of the cubic templates. 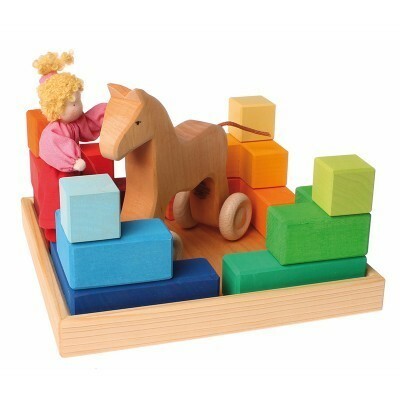 Material: lime wood, non-toxic water based color stain/non-toxic plant based oil finish. Tamanho: length 20cm, single blocks 4cm thickness. 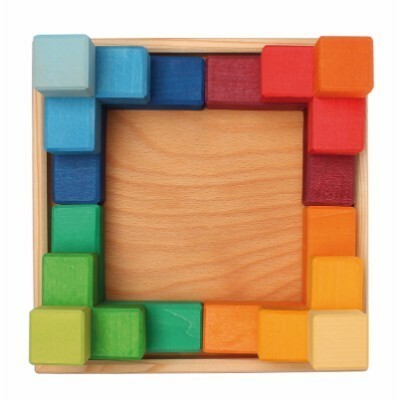 Quantidade: 12 pieces in a wooden frame.